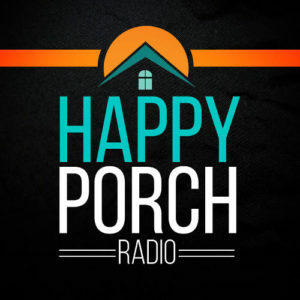 It's another lively Happy Porch Radio Hot Seat in the books! On this virtual meetup, our panelists discussed how they would address various real client situations using their CMS of choice. It was a fun little debate and we definitely learned a few things about Umbraco and WordPress, and the role they play in creating successful solutions in our agencies. Adam Shallcross is the co-founder and CEO of The Cogworks, and has over 20 years experience in the web industry. Anthony Dang is one of their brilliant senior Umbraco developers. Jason is senior developer at Fyin.com. Formerly an Umbraco skeptic, he's now a certified Umbraco Developer and go-to resource for colleagues and clients. Lee Jackson is the founder of Angled Crown and the host of the WP Innovator Podcast. His agency specializes in helping designers, design agencies, and web designers build websites using WordPress. Brad Williams is the co-founder of WebDevStudios.com and the co-author of Professional WordPress (1E-3E) and Professional WordPress Plugin Development. Brad has been developing websites for over 20 years, with the last 10 being focused on open source technologies like WordPress. HPR Hotseat - Umbraco v WordPress from Endzone Services on Vimeo. We'll be lobbing out more of your questions on Twitter using #HPRHotSeat and we invite you to take part. Here's how: head on over to Twitter, jump into the conversation, ask questions and share with us how you would tackle various problems using your CMS of choice. Don't forget to tag your friends and colleagues to keep a spirited debate going.